In June, The Adviser hosted its second annual New Broker Academy roadshow across five states in Australia. The academy is designed to equip new brokers with the knowledge, skills and networks to succeed in this growing industry and to ensure they get the most out of their broking career. Here are some of the key takeaways from the event. The mortgage and finance industry has been in a state of flux for the past year. Not since the global financial crisis has the finance industry been under so much change, so quickly. In the past year alone, we’ve had review upon review on how the industry works — whether it be of mortgage broker remuneration, competition in the financial industry or looking into instances of misconduct. For those just entering into the mortgage broking profession, it can seem like the path forward is uncertain and feel like a daunting and challenging time to get ahead. As part of our ongoing support for the mortgage broking industry, The Adviser has been committed to helping those in the industry succeed. 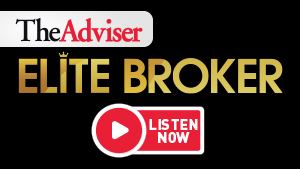 It was in this spirit that we launched our Elite NEW BROKER ACADEMY Broker podcast in 2016 and rolled out our first New Broker Academy last year. Given the demand for the event and calls to extend it to more cities across Australia, in June of this year we brought the New Broker Academy to 650 brokers across five cities for the first time: Sydney, Melbourne, Brisbane, Perth and Adelaide. 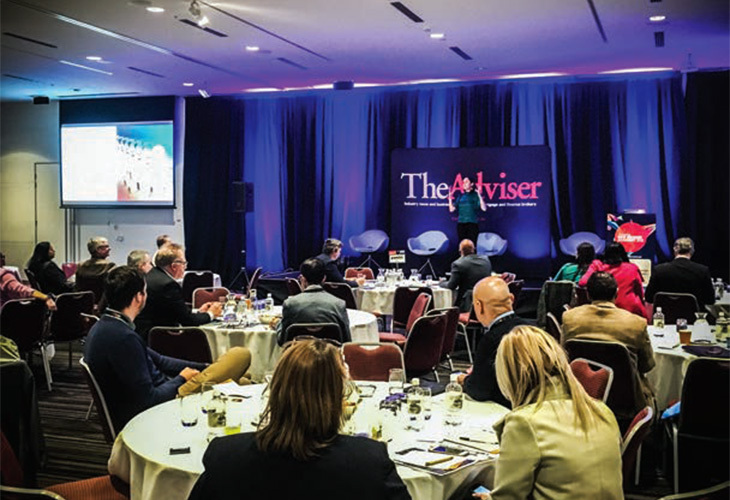 Bringing together the top brokers, education providers and players in the industry, the event outlined some of the key tools, practices and support systems necessary to succeed as a new broker. Several panel sessions took place throughout the day, including a conversation around compliance and understanding the regulatory requirements in this ever-changing environment (with panellists including Heritage Bank’s head of broker distribution, Michael Trencher, and Finsure’s head of compliance, Julian Wills), while another session brought together brokers and representatives from ALI Group, Nodifi and Capify to discuss how brokers can boost their revenue and fulfil the financial needs of their clients by diversifying into areas such as mortgage and loan protection, asset finance and SME loans. Opening the roadshow was professional speaker and house & home loans founder Rael Bricker, who gave a thought-provoking presentation outlining key business strategies that brokers can implement to manage their new business. Mr Rael highlighted that new brokers could benefit from implementing S.M.A.R.T goals, emphasising that the goals brokers set should be: Specific, Measurable, Achievable, Realistic and Timely. The founder said: “Whether you have been in the industry seven weeks, seven months or seven years, you have to set goals. “Stick something on your mirror that is a lofty goal — a strategic goal — like wanting to become The Adviser’s Young Broker of the Year. That’s the broad-picture stuff — where you want to be in five to 10 years’ time. “For example, I set a goal 10 years ago to write $100 million a year. I made a specific goal and then I made that goal measurable. I didn’t leave it at $100 million. I broke it down to $2 million a week. Whatever goal you set yourself, whether it be on volume, number of referrals, number of clients or even how many times you play golf in the week, it needs to be measurable and achievable. Another key message of Mr Rael’s talk centred around ethics, which has been a topic of discussion in the current inquiries. The third-party channel faces ongoing scrutiny around customer living expenses and incomes used for serviceability, with the major banks and many other lenders now requiring more detailed information from customers in order to satisfy their credit criteria. Meanwhile, banks have been introducing new debt-to-income requirements amid APRA concerns around Australia’s high levels of household indebtedness. Mr Bricker explained a scenario before asking brokers in the audience to vote “yes” or “no” by holding up green or red cards. “You’re sitting across from your clients, a married couple. The wife is pregnant. Can you use her income for servicing?” Mr Bricker asked. Brokers were generally split 50–50 on this scenario, with half believing the pregnant client’s income could be used for servicing and the other half saying it could not be used. In the afternoon, success coach and trainer Niik Stewart provided a high-energy and entertaining session on how to develop a positive mindset and increase revenue. 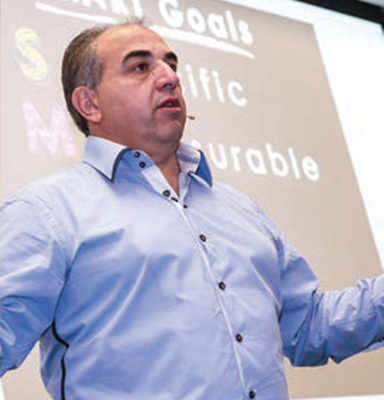 The leading global high-performance sales and life coach shared his experiences from the last 17 years. Mr Stewart outlined several strategies that brokers could implement to ensure that they stay front of their clients’ minds, helping them to stand out from the crowd. The top tip from Mr Stewart was: “You want to stand out because if you blend in, no one will call you back. “Voicemail messages will ‘sell you’ before someone actually talks to you. Make sure you have a positive, enthusiastic voicemail because if you sound positive, the client will remember you and want to work with you. The success coach acknowledged that much of his advice wasn’t new theories, only that few people actually utilise the knowledge that they learn. He called on new brokers to go to as many events and seminars as they could. Brokers from across the different states shared their thoughts on how to choose the right aggregator or group and what to look for in an aggregation partner. A common theme emerging across the states was that brokers should find a partner that could offer strong business strategy planning, provide good marketing support and — crucially — foster a good culture and work environment. Delegates also heard from a range of leading brokers about the strategies they have put in place to succeed. The Q&A session heard from Loan Market broker Bernard Desmond (Sydney and Melbourne), MADD Loans founder and broker George Samios (Brisbane), Capita Finance franchise owner Adam Donald (Perth) and Henley Home Loans director and broker Evan Sourbis (Adelaide). Mr Desmond, who attended the inaugural New Broker Academy last year, outlined how he had written more than $50 million in his first year broking. The Loan Market broker said that having a business plan and learning from other brokers had helped him on his path to success. “As a new broker, I was really nervous and I didn’t know where the next lead was going to come from… The first 30 days was really difficult for me, if I look back at it now, because I had no clue what I was doing... I was going back to customers several times, five or six times, because I was still learning. “So, I sat down with my mentor to make a list to find the information that I was going back for and identify how I could capture the information that I wanted before going to an appointment. We made sure we knew the structure of the appointment, having a checklist of the information that I needed to get and reduc[ed] the amount of times I was sitting down with the client. Over time, that process has only gotten better. He added: “Reach out to other brokers who have been in the industry, who have done well, and if they are writing $50 million, $60 million, or even $100 million, they have the formula. Learn from them. Life and wellbeing strategist Bella Zanesco concluded the event with a moving and informative session on the health implications of stress and her top tips for avoiding burnout. Ms Zanesco coaches at-risk high performers in organisations such as Deloitte, CBA, Macquarie, Google, J.P. Morgan, KPMG and Microsoft, and she works with companies to ensure their staff have a good sense of wellbeing in the workplace. With the benefit of hindsight, the early warning signs of her burnout have become clear, she said, but there were indicators she ignored as she continued to climb the corporate ladder. These included physical symptoms such as body fatigue, aggression and irritability, gut disorders like irritable bowel syndrome (IBS) and cognitive issues like brain fog. Strategies to help manage stress and reduce the negative impacts of a high-flying career included box breathing (inhaling for four counts, holding for four, exhaling for four and holding for four), finding key working “flow” patterns and trying to work flexibly, eating more clean foods, getting to sleep early and reducing technological interruptions, and making time for hobbies.